The first part of this article gave a bit of history of bongs and talked about how many people end up with cheap glass but still pay the expensive price. 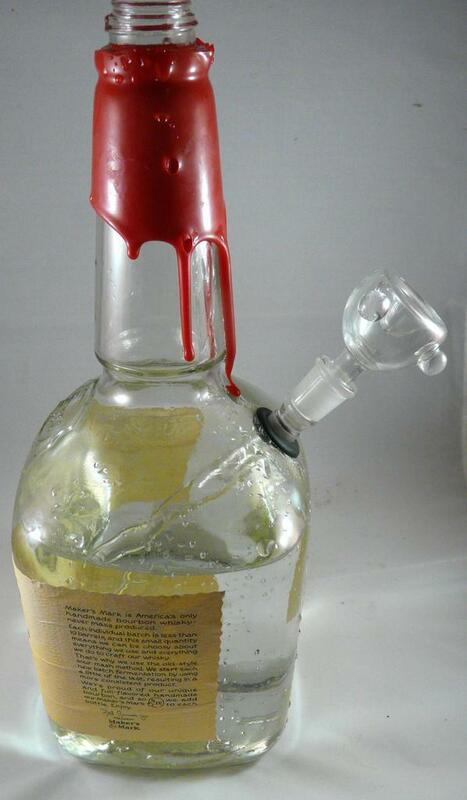 We’re going to make our own bong using good quality materials, and save money too! The way “real” bongs work is that they have a ground glass joint in the body section which accepts a separate piece called a downstem. The downstem guides the smoke to the bottom of the bong, so it will bubble and flow through as much water as possible for filtration. Better ones are diffused, which means they have extra holes or slits cut in them for more bubble action. The bowl is yet another separate piece that fits into the top of the downstem. We have no way of constructing a ground glass joint, but by drilling exactly the right size hole and doing a bit of magic, we will end up with almost the same end result. 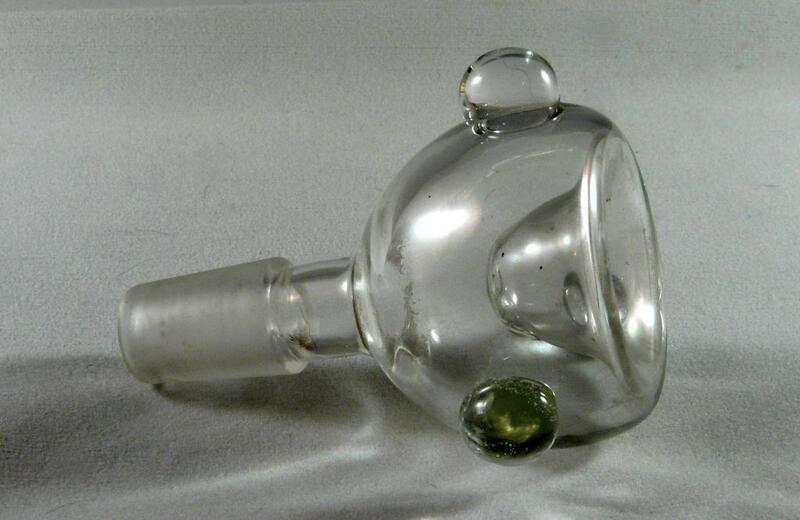 There are two standard sizes for glass pieces, measured as the diameter of the widest part of the joint: 14mm (actually 14.5) and 18mm (actually 18.8). We will use the 14mm size, so everything else you choose to use with this setup must also be 14mm. First thing, you need a bottle. 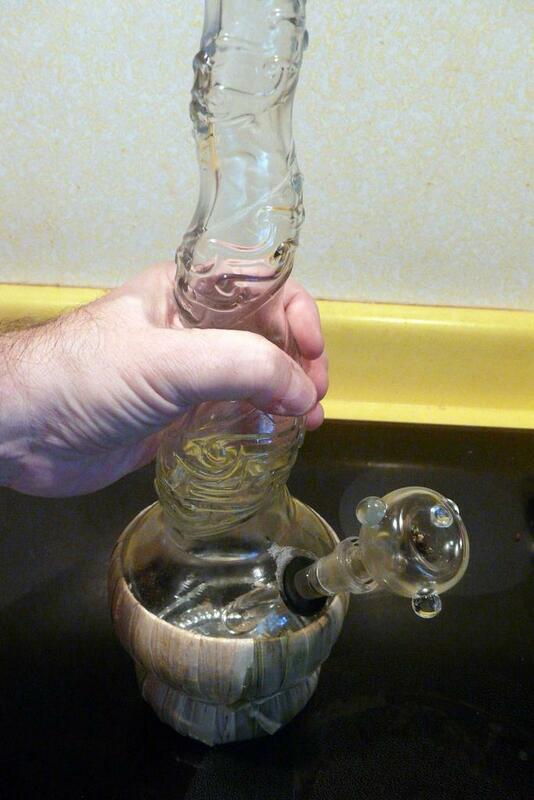 You can technically use almost any bottle for a bong, but the best ones have a flattish spot at a more-or-less reasonable angle (a horizontal bowl will spill) and height, as well as a longish neck to keep your hair out of the flame area. The legendary Bong Spirit bottle is, of course, designed with all this in mind, but the Bottaro wine I picked up at Sam’s Club for less than $9 is almost perfect as well as cushioned on the bottom. And the twisted, textured neck reduces the chance of dropping it when passing it to someone, while adding a vortex action to the smoke that will make you 420% higher than the average bear (at least, that’s what I would say if I was in their marketing department). If you enjoy wine at all, do yourself a favor and pour the contents of the Bottaro bottle down the nearest sink. I tried drinking a glass of it and by the time I gave up, I was convinced that this traditional Italian winemaker is now firmly in the stealth bong business. Anyway, this is still an incredible deal, considering it would cost $30 or so just to acquire the empty bottle alone on eBay. I suspect they’re intended as holiday gifts, so find a way to get yours now before they run out. Liquor retailers like BevMo may also carry them at this time of year. I don’t know what it is about liquor that inspires people to make bonglike bottles, but I spent some time walking around my local BevMo and came up with some likely candidates. Note that these photos are not to the same scale, but check out the shapes and the details (they’re all clickable). 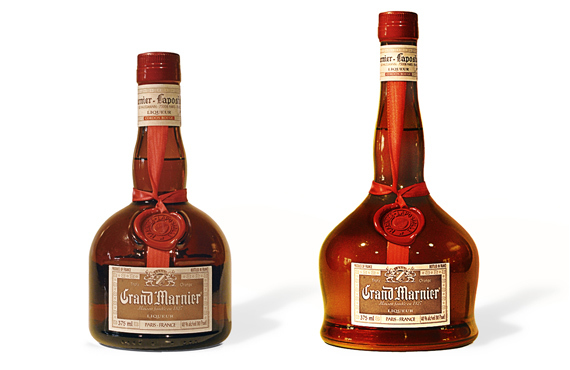 Grand Marnier: This ubiquitous liqueur has been around for over 125 years, and the bottle is quite usable. 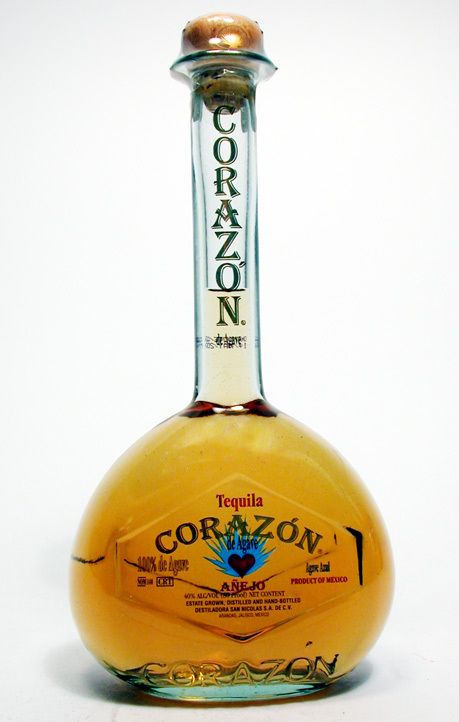 As it turns out, there’s a company proposing to redesign the bottle slightly, which would make it even better. Let’s hope they get the contract (current bottle on the left, new one on the right)! Goldschlager: This pretty much has it all. A long neck, large body, and a beautiful flat spot, all ready for you to mess with. If you can’t find Bong Spirit, this is a very nice one too, and available nearly everywhere. You’ll have to change the length of the downstem for best results if you use a different bottle than the Bottaro, so make sure you choose your bottle first. Think about these tradeoffs when you choose your bottle: the higher on the bottle body the hole is, the longer your downstem will have to be to reach the bottom. This will make it a bit harder to inhale, but you’ll also have the most filtration because the smoke will pass through more water. The Bottaro is pretty low, and as a result it’s almost like inhaling with nothing in your mouth at all (I suspect the Bong Spirit would work about the same way). Bear in mind that liquor bottles are made in huge quantities and are designed to withstand rough handling by people who have been drinking. So even though they’re not made from borosilicate glass, they’re still likely to be far stronger than all but the most expensive customized bongs. And which would you rather take a chance on dropping…a $300 Roor or a $25 Goldschlager? Before you make your final selection, think about one more thing. With a tall neck, a bong has a pretty high center of gravity, which means it’s more likely to tip over if it has a small base. Look at any classic bong, and it’s bound to resemble the Bong Spirit bottle. 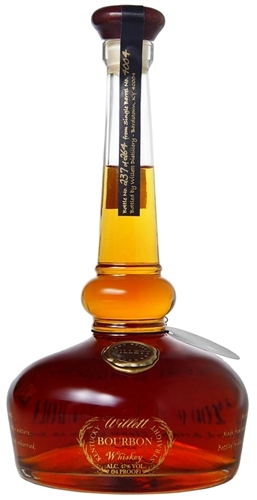 Now compare that to the base of the Goldschlager bottle, or that beautiful Willett. Which do you think you’re more likely to knock over when you’re high as a kite? Of course, if you’re one of those people who feels they have to “impress” other people by buying large, expensive, shiny, complex toys, that’s cool too. I went through that period myself once. You can always learn how to shed your false ego later. Choose wisely and practically, is my advice. Yes, you will have to drill a hole in the bottle. No, it’s not difficult at all, with the right tools and technique. All you need is a battery-powered drill and one very special, diamond-tipped 3/4″ hole saw bit that will set you back the princely sum of…$8.00. Order that now, as it will probably take the longest to arrive. In the next part, I teach you the holy secret. Part 4: How to smoke from your new bong! found the Holland vodka at my liquor store and just ordered the diamond tipped bit. cant wait for the next installment? Don’t worry, the article itself is done. I’m just finishing up the video! Pingback: Scab of a nation, driven insane : don’t read this! Great article Hippie, very informative. Unfortunately it does not appear that Bottaro is around anymore, or has done a very nice job of scrubbing their name from the internet. How well do you think a Jameson Whiskey bottle would work? Hey! Just curious why you used a 3/4″ diamond drill bit for a 14mm downstem? Does that give the grommet/downstem combo a bit of wiggle room to fit in the 3/4″ hole? Cheers! Yes! That’s the size that fits with the grommet. Nugs and hugs! Ok so I’ve got some mini glass liquor bottles (like airplane sized), and I’m really wanting to make a little mini bong/pipe. What diameter drill bit would you recommend for this? The 3/4 inch is far too large, I’ve already tried it. I really have no idea, because you’d first have to find a teeny tiny downstem and bowl that would fit…then pick a bit and grommet to match that. Frankly I don’t think it’s worth the trouble because so little water isn’t going to help much, but I know the feeling once you get an idea…!